I get asked to make this design a lot. As with almost everything I create the customer had the option to modify the design to her tastes. 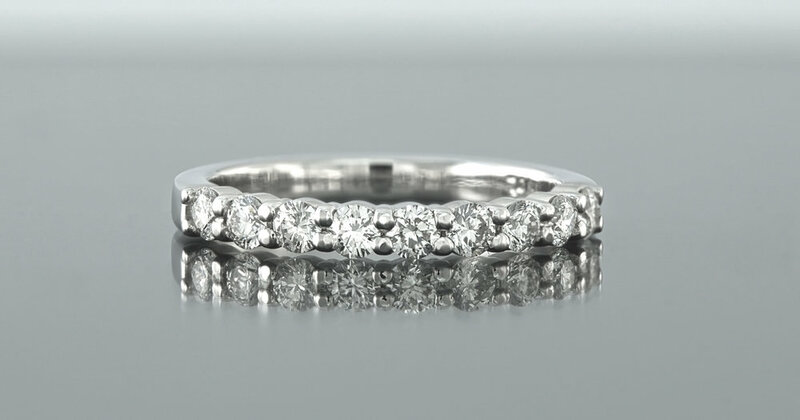 In this case she went larger diamonds in order to accentuate the scalloped shape of the outside edges. The engagement ring it was created to match can be viewed here.